There are THREE different options to choose from with this hat. 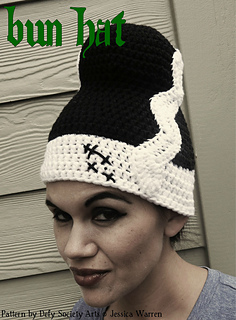 You can create a “Bun” style, “traditonal” style or slouchy style hat. 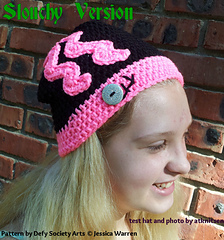 This is a fun hat that can work as a costume or for practical/fun use! This would be a great Halloween costume or something neat to wear any time. Enjoy scary movies? This may be the hat for you. 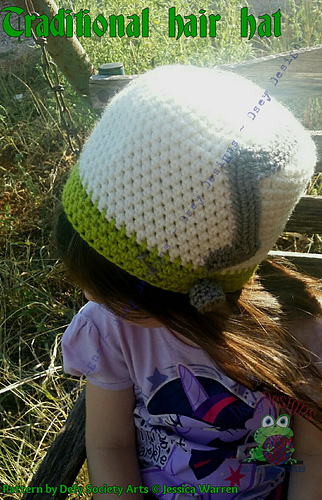 This hat comes in adult small which will work for younger children/teens, adult medium and adult large. You will need basic stitch knowledge. You will want 2 to 3 different colors of yarn.